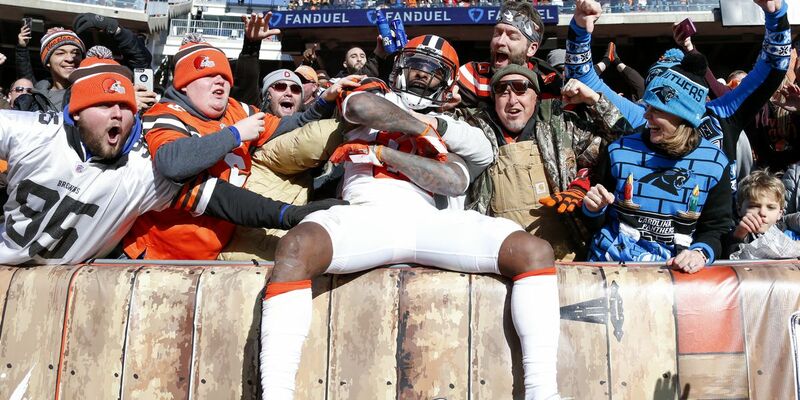 CLEVELAND, OH (WOIO) - The greatest fans in the NFL will soon find out when the Cleveland Browns will open the regular season and who the team will face. Hundreds of computers in a secure room and four NFL executives are used to create thousands of schedule possibilities based off of traveling, league broadcasting partners, conflicting regional events, and a rotation to ensure each team plays one another at least once every four years. Cleveland, who finished the 2018 season with a 7-8-1 record, will face each divisional opponent once at home and once on the road. They will also play four games against teams from within the AFC, four games against teams from the NFC, and two games against the two remaining divisions within the AFC based on divisional ranking from the previous season. The Browns are set to face the Washington Redskins in Week 1 of the NFL preseason. It's happening! 😄 The Cleveland Browns are one step closer to getting back on the field.